The research finds that there is no sign of a ‘bubble’ in the domestic market. HOUSE PRICES IN the Irish market still appear to be undervalued, finds the latest report from the Economic and Social Research Institute. Report author Dr Kieran McQuinn said that prices, particularly in Dublin, were likely to rise in the coming years due to the absence of a significant housing supply response. Despite the strong increases in house prices observed of late, particularly in the Dublin area, house prices in the Irish market still appear to be undervalued. At present, there is no sign of a ‘bubble’ in the domestic market and any recovery occurring at this point is almost a ‘credit-less’ one. He added that much of the upward pressure on house prices is due to the slow supply response. “The focus of housing market policy should be to address this issue,” he said. 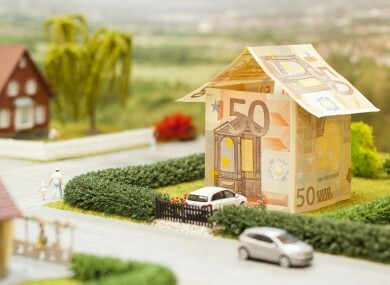 “Assessing the state of the property market has arguably never been more important – it has massive implications for those in negative equity, for household consumption, and for our overall financial stability,” said Dr McQuinn. He said it was almost inevitable that since the downturn house prices have “overcorrected” and recent developments in the Irish housing market must be seen in that context. This is not to say that increasing house prices are either inevitable or desirable. Indeed as the economy continues to emerge from the recent recession, keeping key cost of living factors affordable, such as housing, is imperative as the economy seeks to maintain the competitiveness advantage that has been gained in recent times. Email “House prices in the Irish market are still undervalued, says ESRI”. Feedback on “House prices in the Irish market are still undervalued, says ESRI”.